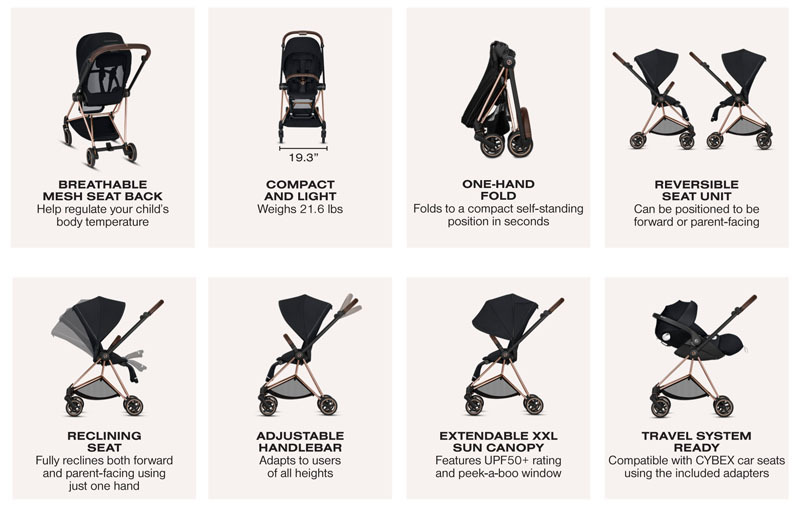 Compact, functional, and stylish - the Cybex MIOS stroller provides maximum stability in a lightweight matte black frame with luxurious details. The retromodern seat design in fancy pink color features breathable mesh that is not only lightweight, but also helps to regulate the child’s body temperature and, the narrow design glides through streets with ease. The NEW MIOS has been redesigned with high-quality materials including leather-look details, premium fabric and finishes.